For almost 20 years, Prowler, Inc has been helping developers, landowners, non-profits, and public agencies address project management, development, and planning challenges. 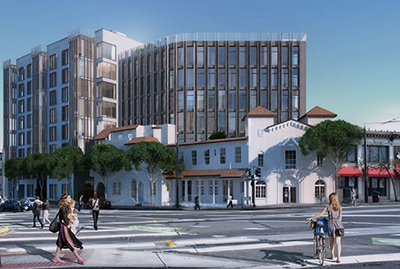 On behalf of the property owner, Keller Grover Properties, David Prowler led the effort to design and win approval of a 96-home mixed-use project at the corner of Market Street and Duboce Avenue – a site the local area plan calls the Gateway to Upper Market. It’s an important and tricky site, with new construction above and alongside a historic 1926 former funeral home. The Planning Commission unanimously approved the project on January 18. It’s a great project, featuring adaptive re-use of a historic building, affordable housing, and a sensitive design. The existing building will be preserved and the additions were designed to respect and complement the historic features. Of the 96 new condo units, 14 will be permanently affordable. On the team besides Prowler: David Baker Architects, Steve Vettel of Farella Braun + Martel, and Charles Chase of Architectural Resources Group. The project earned widespread support, with endorsements from the Eureka Valley Neighborhood Association, the Mission Dolores Neighborhood Association, Castro Merchants, the Castro Community Benefits District Board, and the San Francisco Housing Action Coalition. For more information, visit SocketSite.com. Aging is a big challenge. 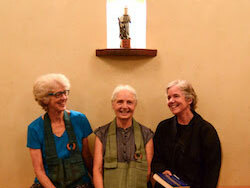 Doing so in a real community can be helpful and soon there will be a senior community, up in Healdsburg, where the spiritual tools of Zen Buddhism will be available for a broader population. For the past five years David Prowler managed the San Francisco Zen Center’s participation in pre-development activities. The Zen Center has now entered into a partnership with the Quaker-based Kendal Corporation, another non-profit, to co-sponsor, operate, finance and build the community. The project will be the first of its kind, offering a meditation hall and classes, with food inspired by Zen Center’s Greens Restaurant. 20 retired Zen teachers will be in residence, among 220 independent living units, 30 assisted living units, and memory care for 24. 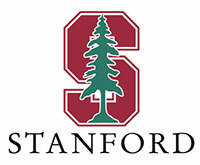 The site is about a mile and a half north of Healdsburg Town Square. The design, by Mithun and HKIT Architects, will meet the highest standards for sustainability. David Prowler puts his thoughts on urbanism and design on his blog, at www.davidprowler.wordpress.com. The latest post is called The Persistence of the Past, and it’s about how today’s planning gridlock is explained by events of 30 years ago. John King of the SF Chronicle called the post “terrific” and J.K. Dineen, also of the Chronicle, deemed it “wonderful”. Previous posts concerned Japan, surrealist architecture, what street grids tell us about cities, and hostile modern design. 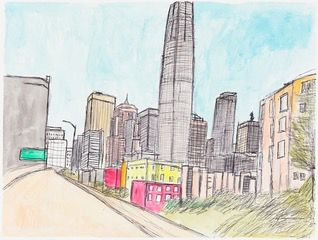 Also: the latest on mastodons South of Market, memories of Harvey Milk, Zen billboards, and lucky addresses. 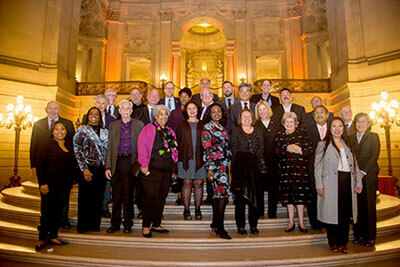 Behold current and past members of the San Francisco Planning Commission, gathered for a reception at City Hall to celebrate the Department’s 100th birthday. David Prowler (top row, right) served on the Commission in the early 1990s. As part of the celebration, Planning staff produced a history of city planning in San Francisco, a handsome paperback with some interesting insights. You can download a copy here. According to the recent Bay Guardian Readers Poll, that’s Creativity Explored, where art changes lives. It is an art workshop and gallery for artists with developmental disabilities. David is President of the Board. You could buy this watercolor here, or license art, or just learn more about CE at CreativityExplored.org.